Clearing out the offices of the Hook, we found another deceased newspaper, The Times of Charlottesville, published on the DTM by Sandy McAdams and Phil Stafford out of Daedalus Books. Here are some snapshots from 1975 & 1976. A new book by Ann Beattie…issue had a huge interview with her as well. Original NYT review of the C&O by Craig Claiborne, which they used as an ad. See larger image below. 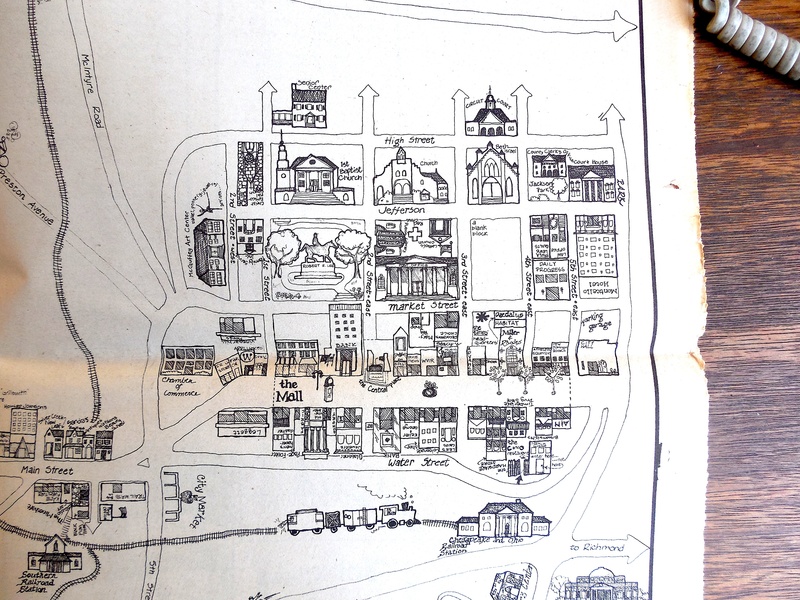 Hand-drawn map of the Mall. See larger image below. 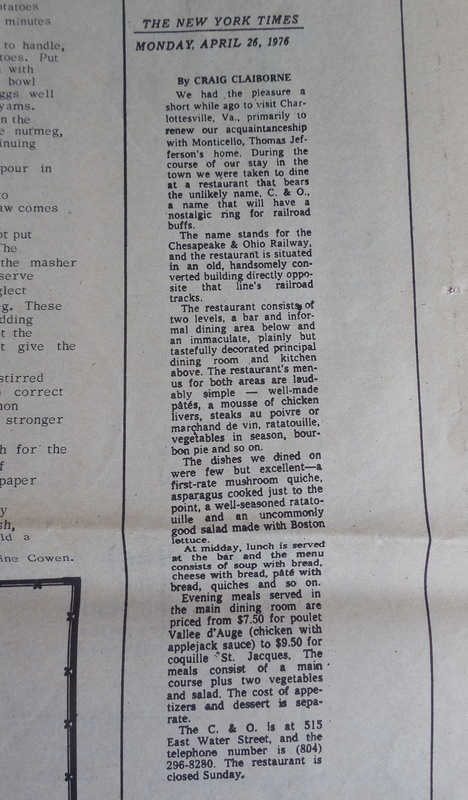 Original NYT review of the C&O by Craig Claiborne, which they used as an ad.